We all know the disaster these birds create to offices, residences, malls, factories, temples and places of worship. 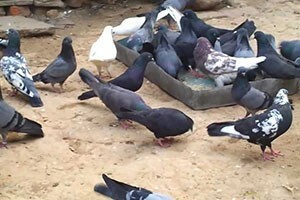 In India, it is common to feed birds, but the brunt is borne by property owners. Apart from being an eyesore and a menace to clean, bird feces spread diseases like Salmonellosis, Encephalitis, Cryptococcosis, Ornithosis, Hisoplasinosis, and other breathing & skin disorders. As pest professionals, we understand bird behaviour - so we can quickly identify locations around your premises where bird activity is most likely to occur and the potential consequences. Because we self-deliver all the services you need, we save you management time and reduce the total cost of service provision. 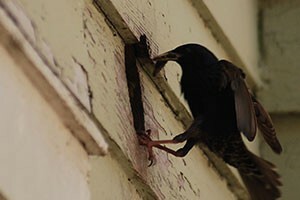 Birds can often be pesky inhabitants around your home. Ridding your property of avian pests can typically prove to be difficult without the right equipment and knowledge. Sometimes, trying to remove birds from your property can involve legal aspects as some pesky birds are protected by law. There are a number of techniques and various types of products that can be used to remove unwanted birds. We can make sure your bird problem is removed and does not return. If you are having bird control issues, it is important to know what types of birds are bothering your household for several reasons. The first reason is to make sure you are not further endangering a species of bird that is protected by law. We are experts in dealing with this issue and can keep you from a legal mess that is for the birds! Another reason to know what kind of bird is to make sure the correct equipment is being used to address the issue. 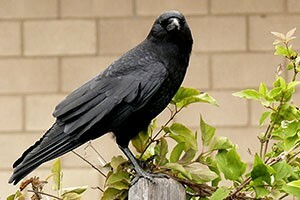 Some birds may not find one type of a bird repellant device to be annoying, but may find several others to be. We make sure the right tools are used to remove those unwanted birds. Disease transmission. Pest birds are known carriers of many diseases, most notably histoplasmosis and salmonella.